With PDF Form Filler OCX product, you can fill the data to PDF fields and combine form data into PDF file. We can also add a new function to allow you to submit the filled data to a database on web. No software is needed to fill out forms. Everything is done online. Fill out any form online with variable font sizes and colors. Also use drawing tools, redact, whiteout and add your own images. Any PDF may be used regardless of the software used to make the PDF. 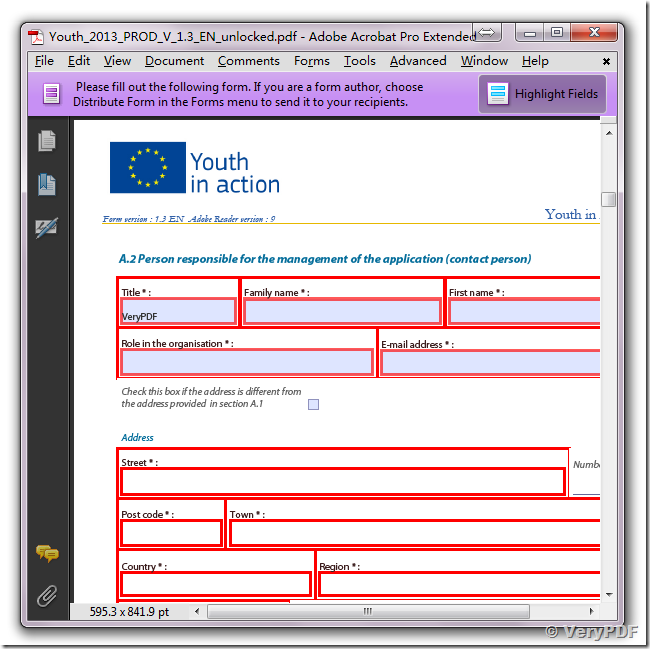 The PDF does not need "fields" to be added to the form. The entire form becomes fillable when it is imported.